NYC-based Jack Erwin create shoes that are beautifully crafted and thoughtfully designed, using the highest quality materials made from knowing, experienced hands. Their designs are timeless yet current, classic yet contemporary. With Big Apple Buddy’s personal shopping service, you can now buy direct from the Jack Erwin online store anytime, anywhere. 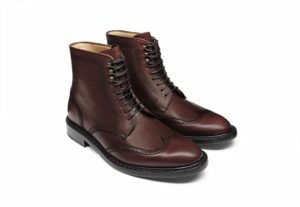 The Jack Erwin Carter Wingtip Boot is a defining piece that becomes one with its wearer. Handcrafted in Spain, these boots are an investment piece that will only get better with age. The Jack Erwin Joe Cap-Toe Oxford posses simplicity at is finest. Here, the focus lands squarely on beautiful lines and cap-toe details well-suited for every occasion. 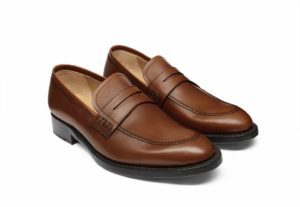 The Jack Erwin Archie Penny Loafer, featuring a box-stitched overlay, is meant to be slipped on with everything and worn everywhere. 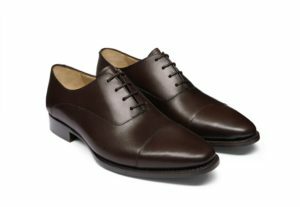 A quality pair of shoes, designed in New York City and handcrafted in Europe. Unfortunately, the USA Jack Erwin online store does not currently offer international shipping. However, Big Apple Buddy, your personal shopper, can help you buy products direct from the official USA Jack Erwin online store and ship them to your doorstep, no matter where you are in the world. We offer international shipping to over 110 countries including Australia, Austria, Azerbaijan, Bahrain, Belgium, British Virgin Islands, Brunei, Bulgaria, Canada, Chile, Costa Rica, Croatia, Czech Republic, Denmark, Estonia, Fiji, Finland, France, French Polynesia, Germany, Gibraltar, Greece, Greenland, Hong Kong, Hungary, Iceland, Indonesia, Ireland, Israel, Italy, Japan, Jordan, Kuwait, Latvia, Liechtenstein, Lithuania, Luxembourg, Macau, Malaysia, Maldives, Malta, Marshall Islands, Mauritius, Monaco, the Netherlands, Netherland Antilles, New Zealand, Norway, Oman, Poland, Qatar, Romania, San Marino, Saudi Arabia, Serbia and Montenegro, Seychelles, Singapore, Slovak Republic, Slovenia, Spain, South Africa, St. Lucia, Sweden, Switzerland, Taiwan, Thailand, the UAE, the UK, Vatican City, and Vietnam. If you would like to buy from the USA Jack Erwin online store, simply let us know which items you would like to order (by filling out the form below) and we’ll get back to you with a free international shipping quote within 24 hours!